This young family was looking to build their “forever” home in the Gilford Community for their growing family. The result is a comfortable and practical, craftsman inspired, 2500 SF, 4 BR, 3.5 Bath, colonial home with many smart home features. Developing a raw site can present many challenges; bringing utilities in, blasting ledge, shaping the landscape and all while working through the winter. The home features a first floor office, 3 bedrooms, 2 baths upstairs with a guest bedroom, bath, playroom and den in the finished basement. Smart home features include a driveway alarm with wifi connectivity for the exterior lighting, locks, thermostats, garage doors, whole home audio and surveillance system. Energy performance was a driving factor in many of the products used in this project. Closed cell spray foam insulation helps make the home very comfortable while also efficient. All appliances used are energy star rated thus making the home very efficient. 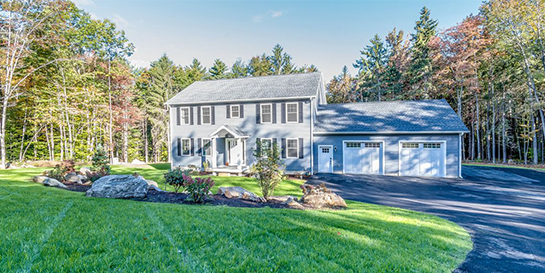 This home was part of The Lakes Region 2018 Parade of Homes. 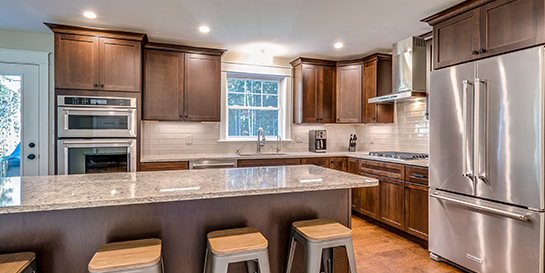 A self-guided tour of 11 crafted homes featuring superior designs by premier builders and trade professionals.